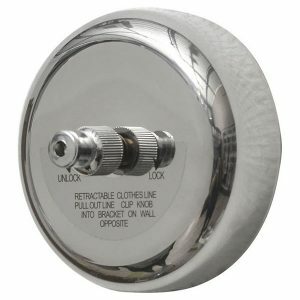 Stainless steel, rust free, simple assembly required, hardware supplied. 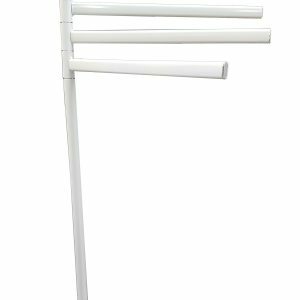 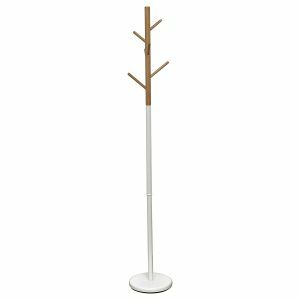 STURDY CONSTRUCTION : Designed to be functional and stylish all at once, this tree coat rack features a round base and half of the main rod (bottom part), made of white powder-coated metal, with a natural painted wood rod with 6 hooks at the top. 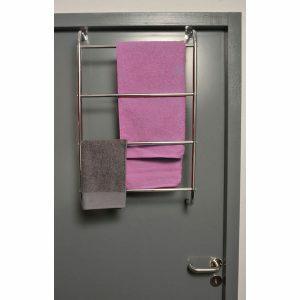 A nice combination of color and material which brings a modern design to your home. 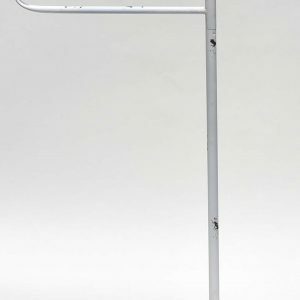 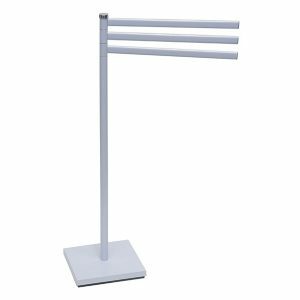 STURDY DESIGN : This coat storage rack is very stable with its weighted rounded base, it can add balance and stability to the coat rack stand to ensure it won’t tumble when clothes and bags are hung. 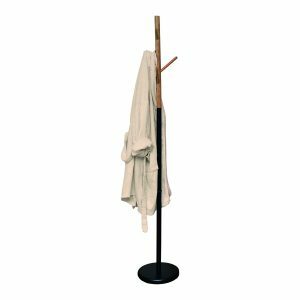 We recommend you to hang your clothes evenly distributed, our Evideco hall tree can works in all types of living and working spaces. 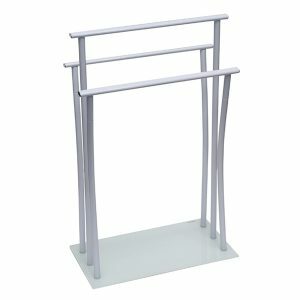 EASY ASSEMBLY and MOVABLE : Our coat storage rack can be assembled quickly and easily. 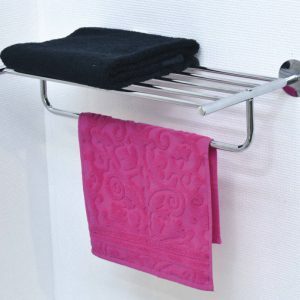 The hooks and the main rod are manually screwed together, just use a simple screwdriver to attach the base to the main rod and that’s it. 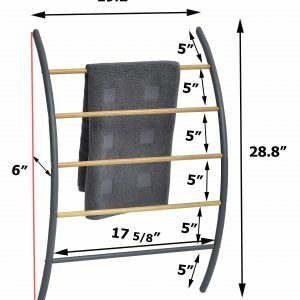 You can easily move this bi colored jacket rack virtually anywhere. 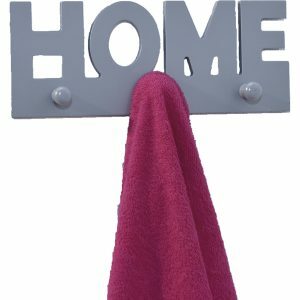 If you need to move, you can quickly dismantling, the perfect gift for house warming, for friends and relatives! 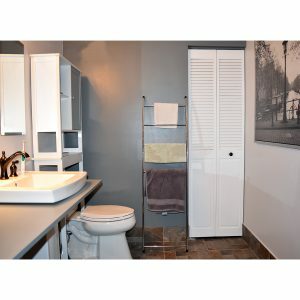 Note : Attached additional pictures shows the black and natural model. 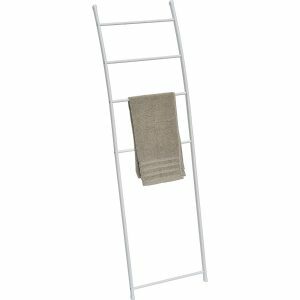 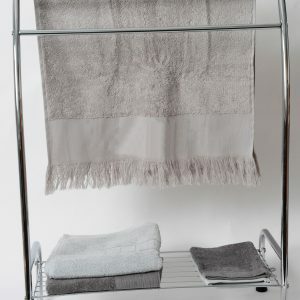 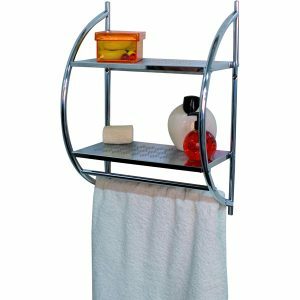 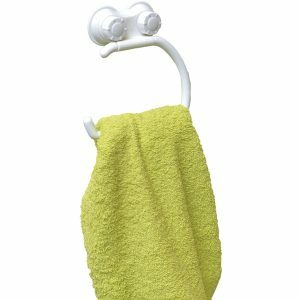 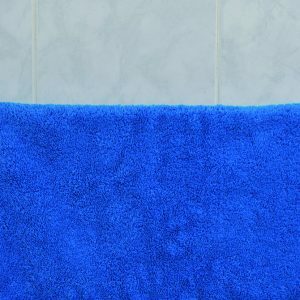 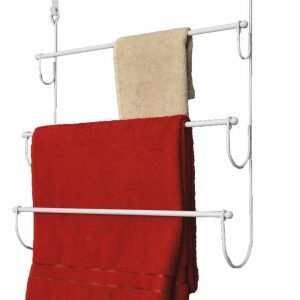 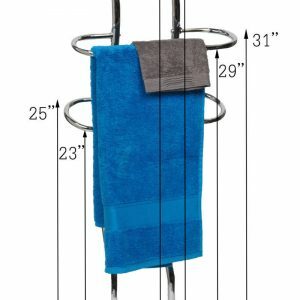 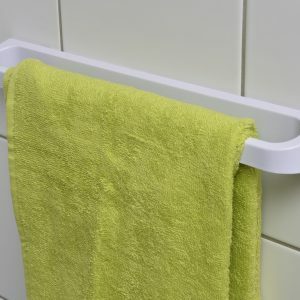 Easily organize and dry your bath towels with this towel stand! 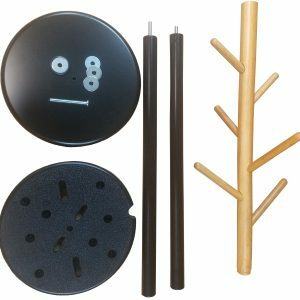 STURDY CONSTRUCTION : Designed to be functional and stylish all at once, this tree coat rack features a round base and half of the main rod (bottom part), made of black powder-coated metal, with a natural painted wood rod with 6 hooks at the top. 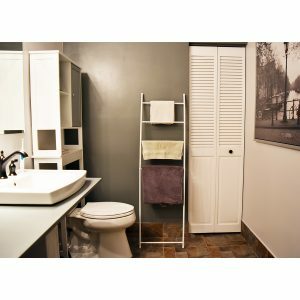 A nice combination of color and material which brings a modern design to your home. 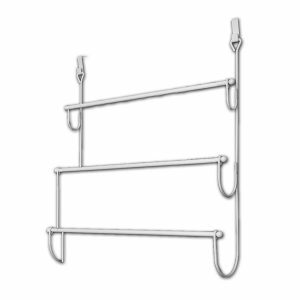 EASY ASSEMBLY and MOVABLE : Our coat storage rack can be assembled quickly and easily. 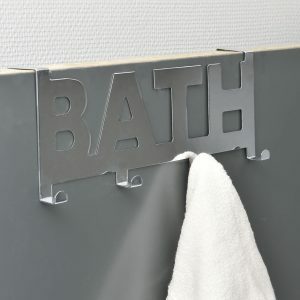 The hooks and the main rod are manually screwed together, just use a simple screwdriver to attach the base to the main rod and that’s it. 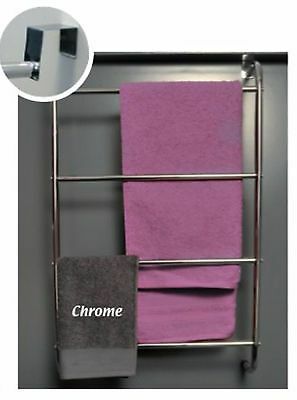 You can easily move this bi colored jacket rack virtually anywhere. 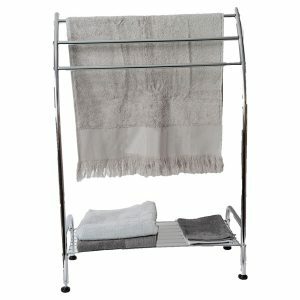 If you need to move, you can quickly dismantling, the perfect gift for house warming, for friends and relatives! 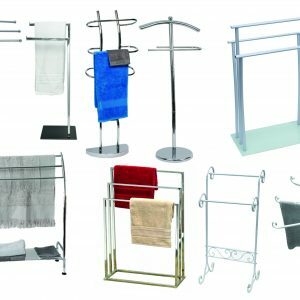 Fits easily in small, tight spaces, 34.4”H x27.6″L x13.8”W, swiveling arms measures 14.4”, imported from France, made in Taiwan,easy to assemble with the included hardware.Complete your decoration LE BAIN with other products of the same collection like contour mat, soap dispenser, toilet brush, trash can or toilet paper dispenser, to name a few. 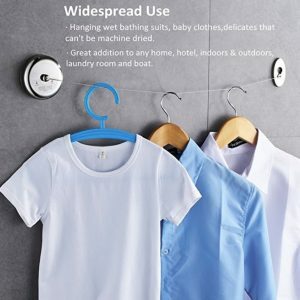 Imported from France, made in Taiwan, color white. 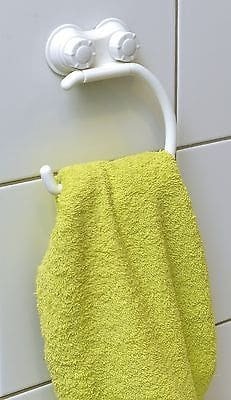 Simple assembly required, hardware supplied. 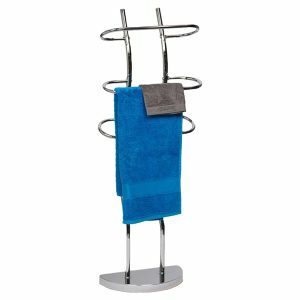 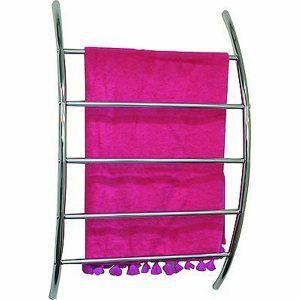 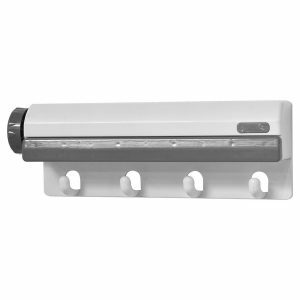 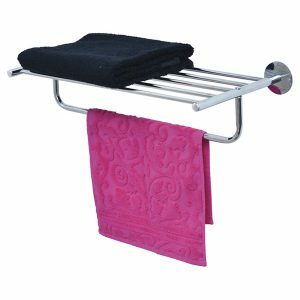 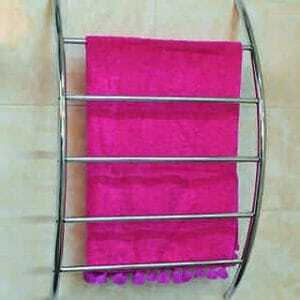 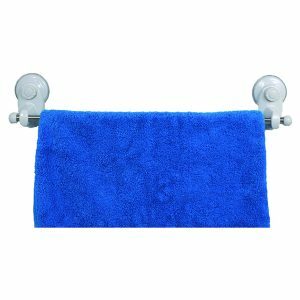 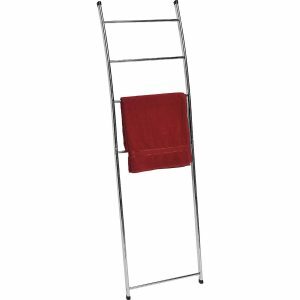 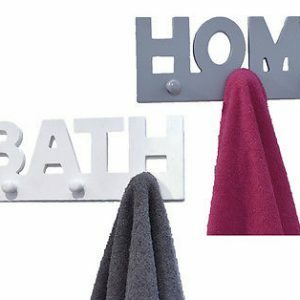 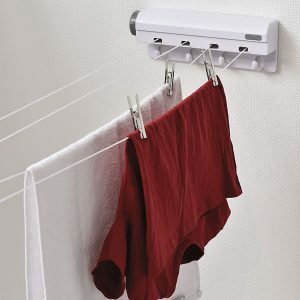 An attractive way to hold up your towels or wash cloths and to add a modern design to your bathroom! 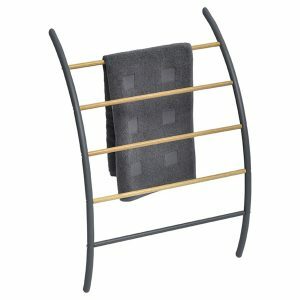 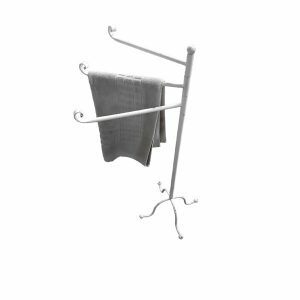 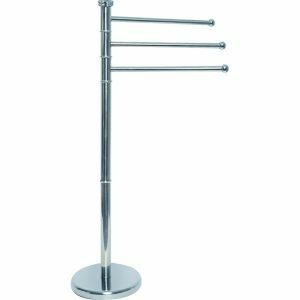 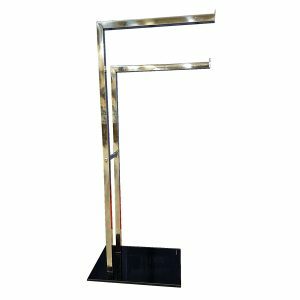 STURDY CONSTRUCTION : Designed to be functional and stylish all at once, this towel holder is made of grey powder-coated metal (frame and one bar), and of natural wood (4 bars out of 5). 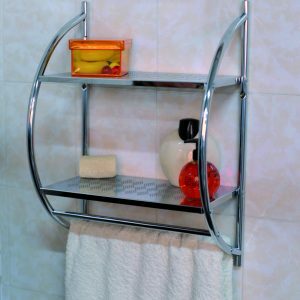 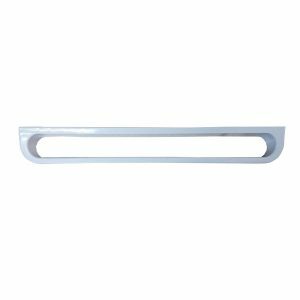 The grey metal bar can be fixed on any tier, which offers a nice combination of color and material and brings a modern design to your home. 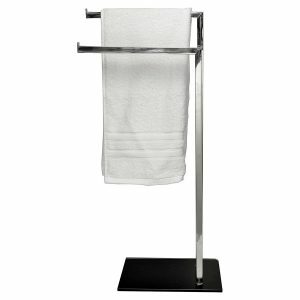 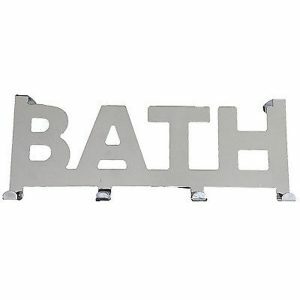 Also available in chrome plated finish metal.